Outdoors activity is the lifestyle of a modern successful person. It's fancy, extreme and mindful. 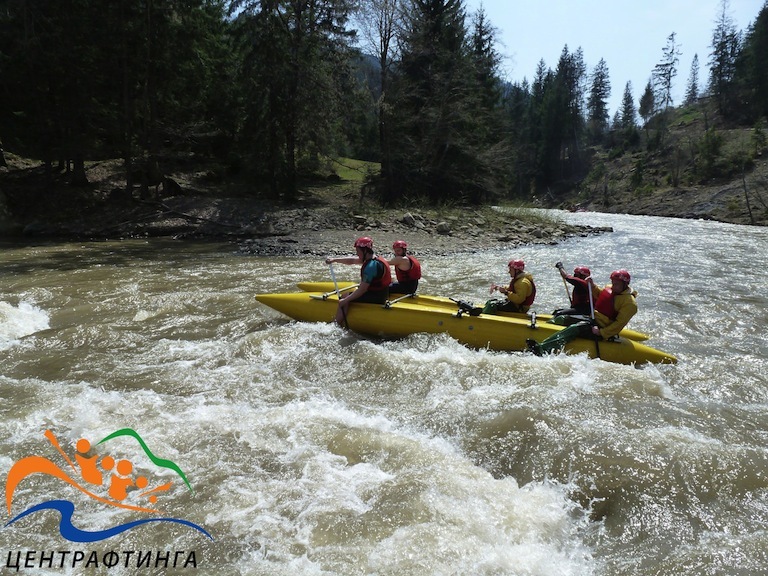 Overcome your fear with extreme rafting by Rafting Center on the mountain Carpathian River. Here rapids will cover you with a water. The claustrophobia can be tricked down by Rafting Center in the Optimistic Cave. Here crystals sparkle from the light of your headlamp. To develop communication and teamwork skills you should try a several days calm river rafting along the Dniester by Rafting Center. Here synchronous work with paddles provides following the right course. You need to rearrange yourself while hiking in the Carpathians with Rafting Center when a backpack becomes super-heavy just in a few minutes before the mountain peak. To overcome the height of the heights will help the 300-meter zip-line crossing from the rock through the river when your speed is up to 100 km/h. To cure the cold phobia with ease you can sleep in a real Eskimo snow-house - an igloo. Paddle to us, we will make your holiday active and useful! 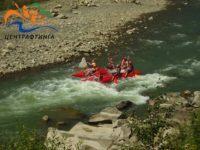 The coolest rafting in Ukraine is undoubtedly rafting on the Chorny Cheremosh in the Carpathians from Dzembronya to Verkhovyna. Rafting on the Southern Bug with the Rafting Center is an extraordinary adventure on unusual craft. Of your choice, we can provide rafts, catarafts and inflatable kayaks “Shchuka-3”. Opir is the most turbulent mountain river where you can arrange rafting in Lviv Region. 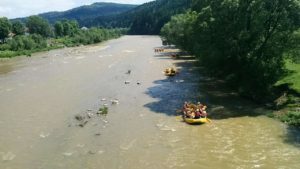 Rafting on the Stryi from Sopit is the most spectacular route for rafting in Lviv Region. 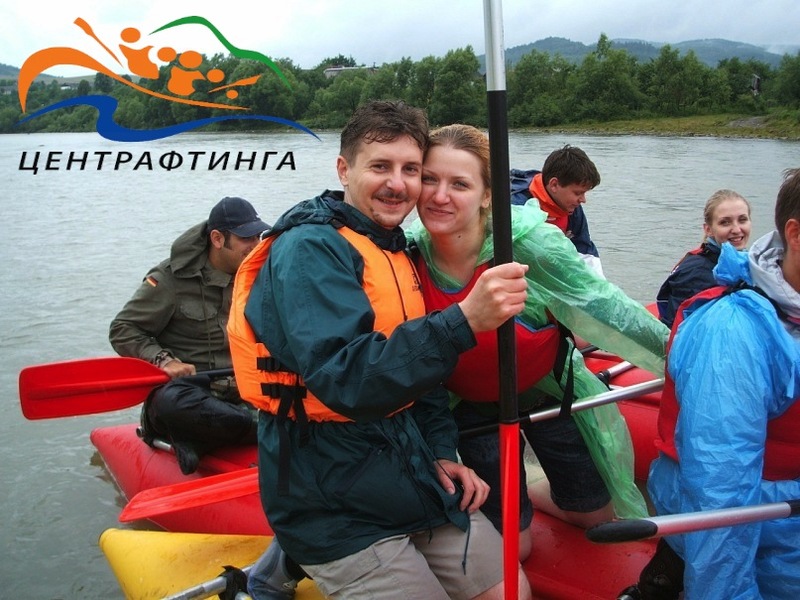 It is the most popular rafting tour in Lviv Region. 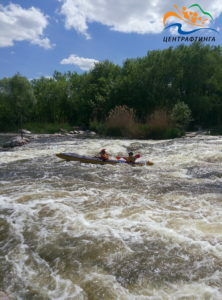 Despite the fact there’s little white water, this route is available throughout the season. less interesting than Huk and Huchok.